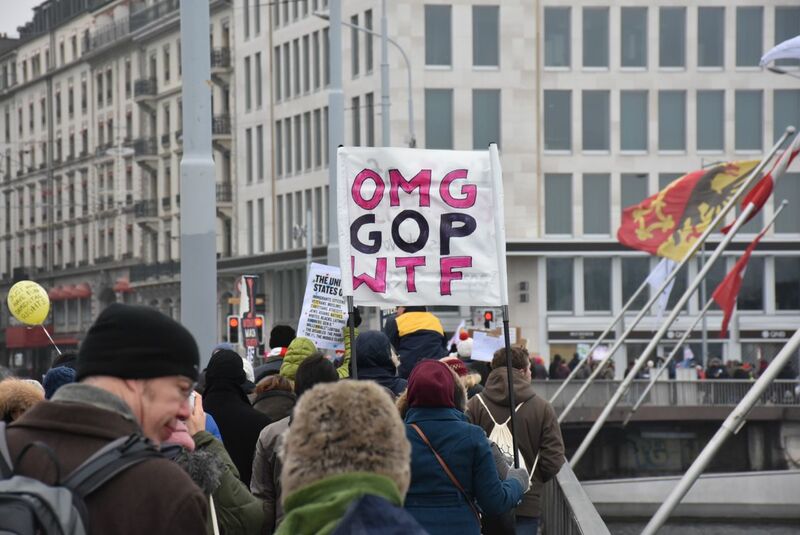 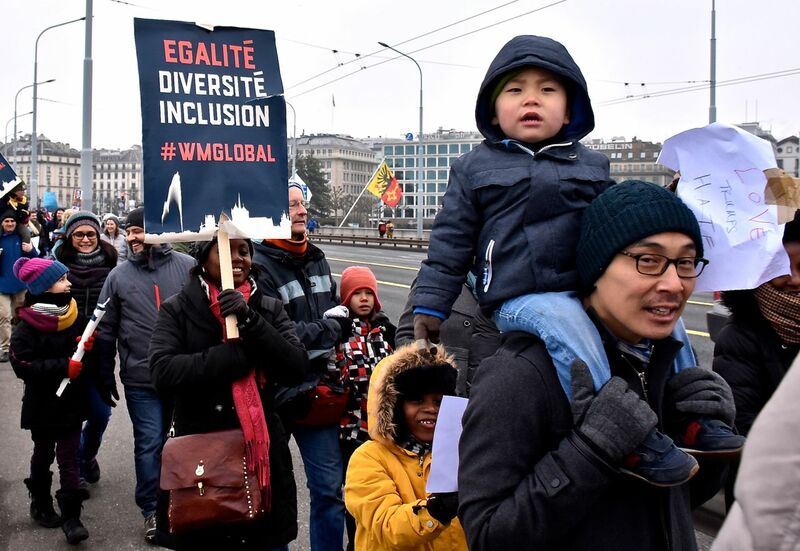 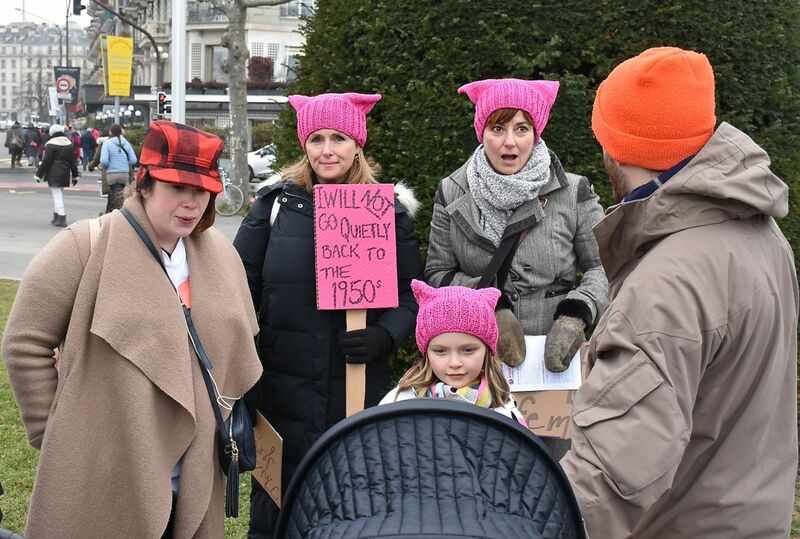 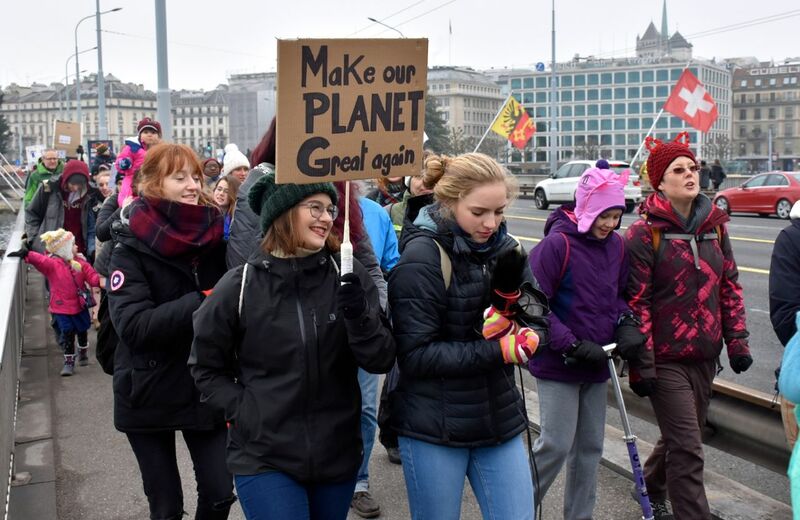 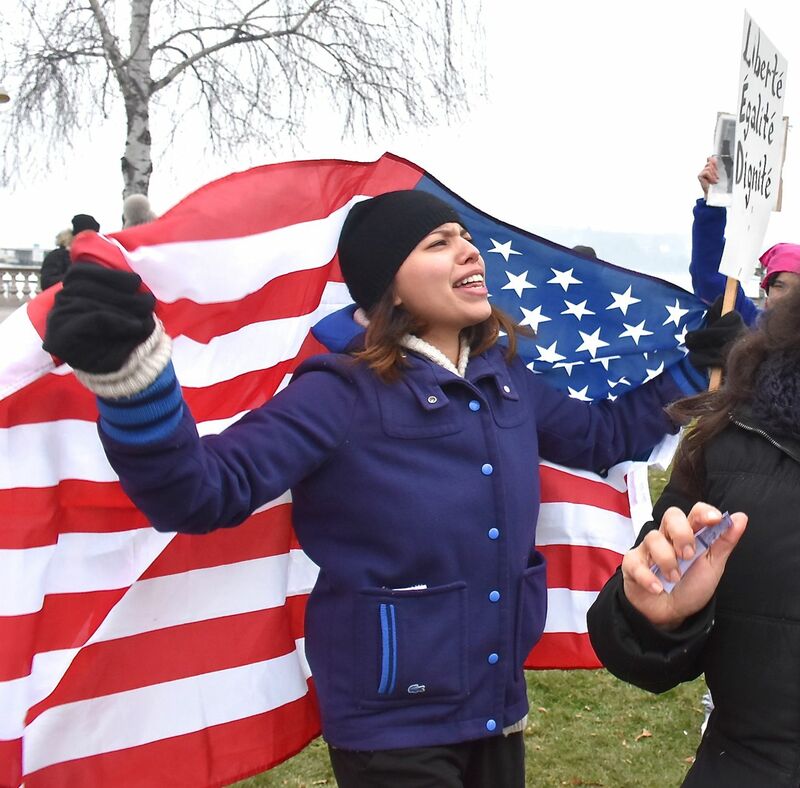 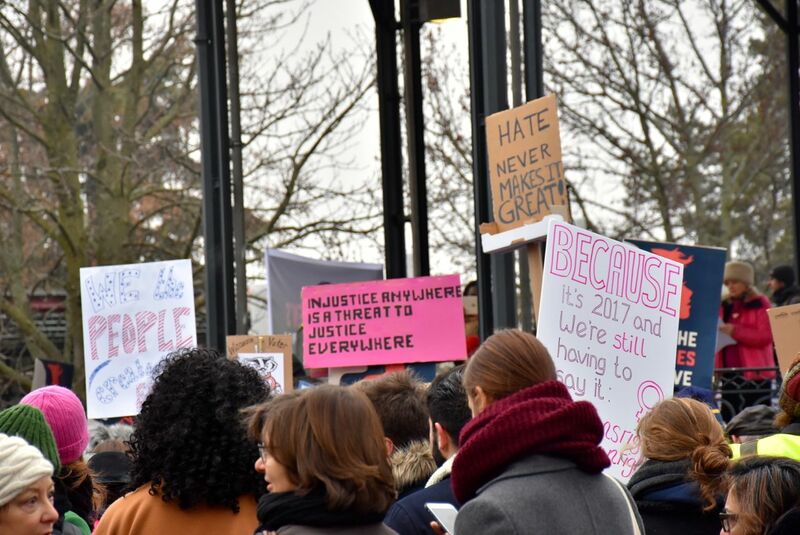 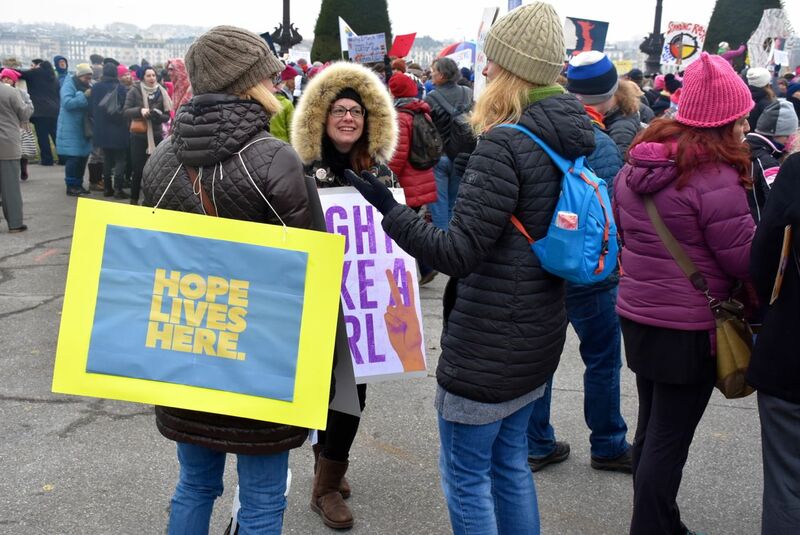 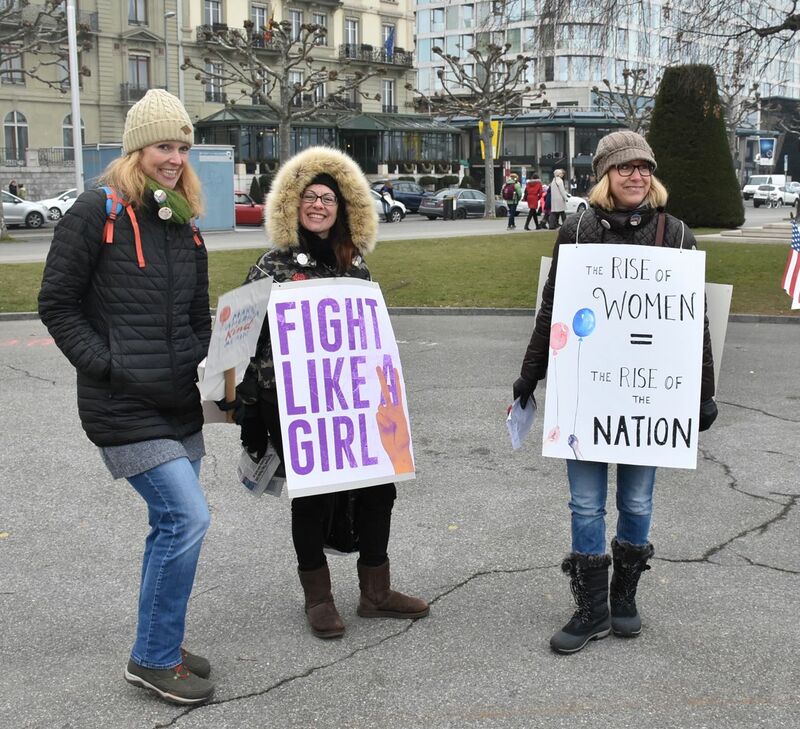 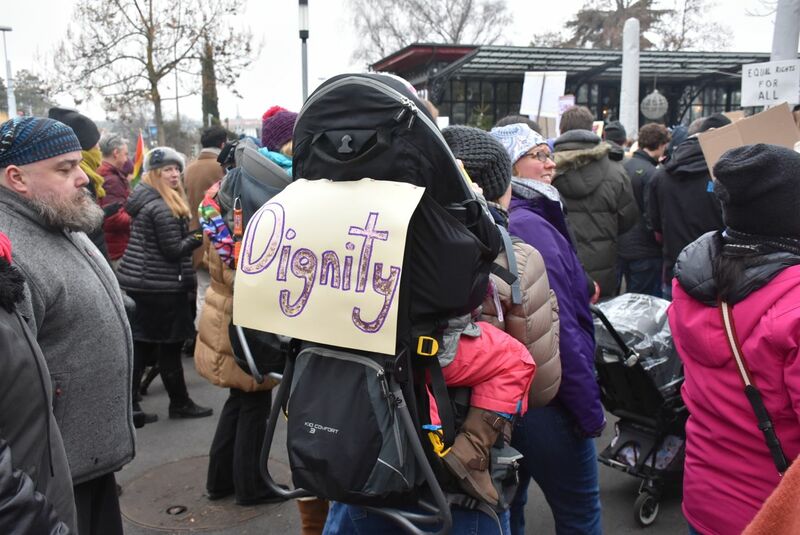 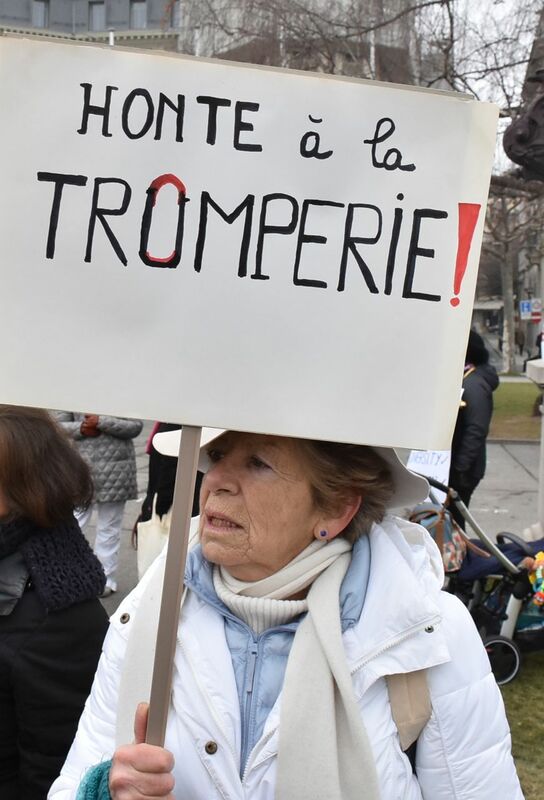 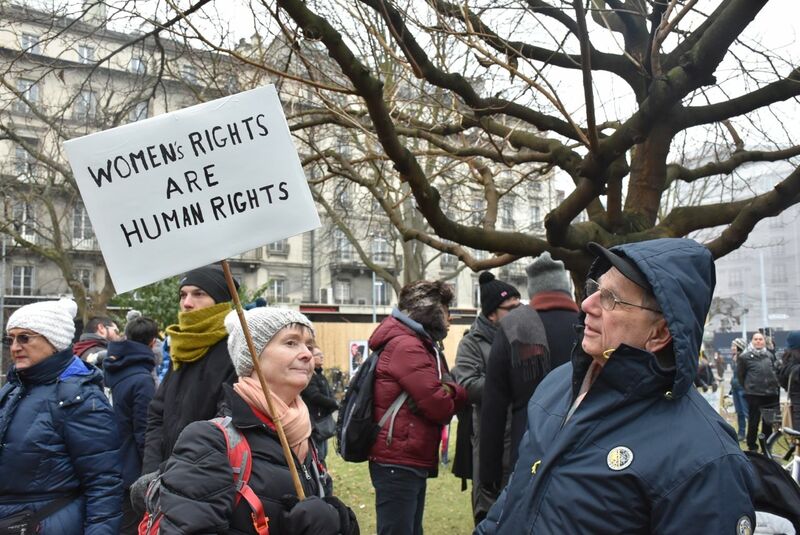 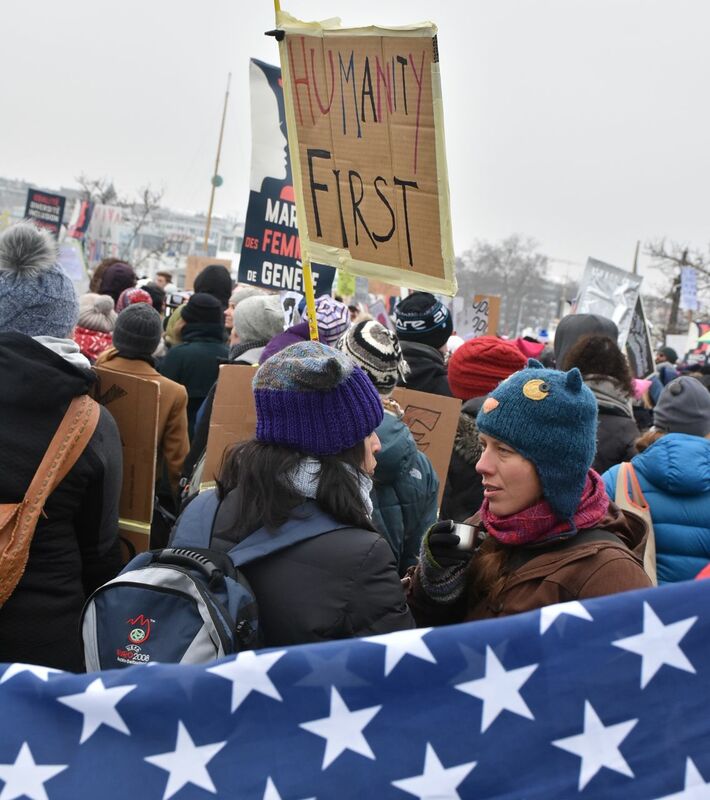 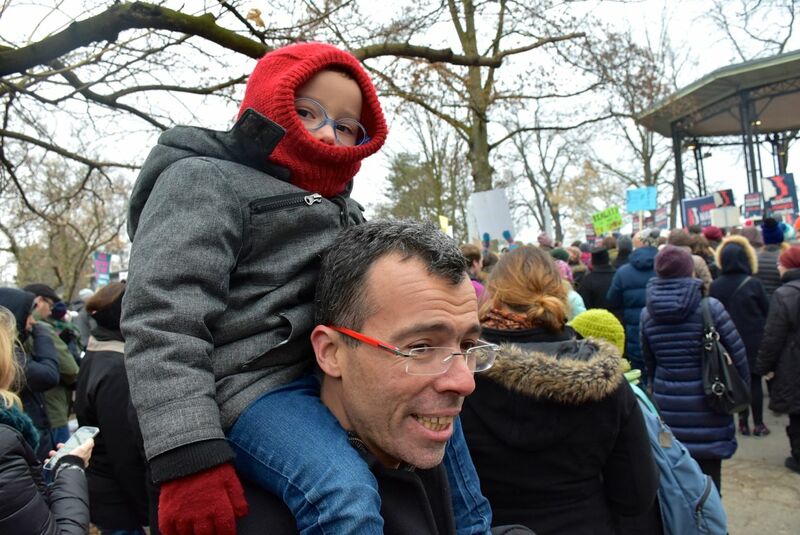 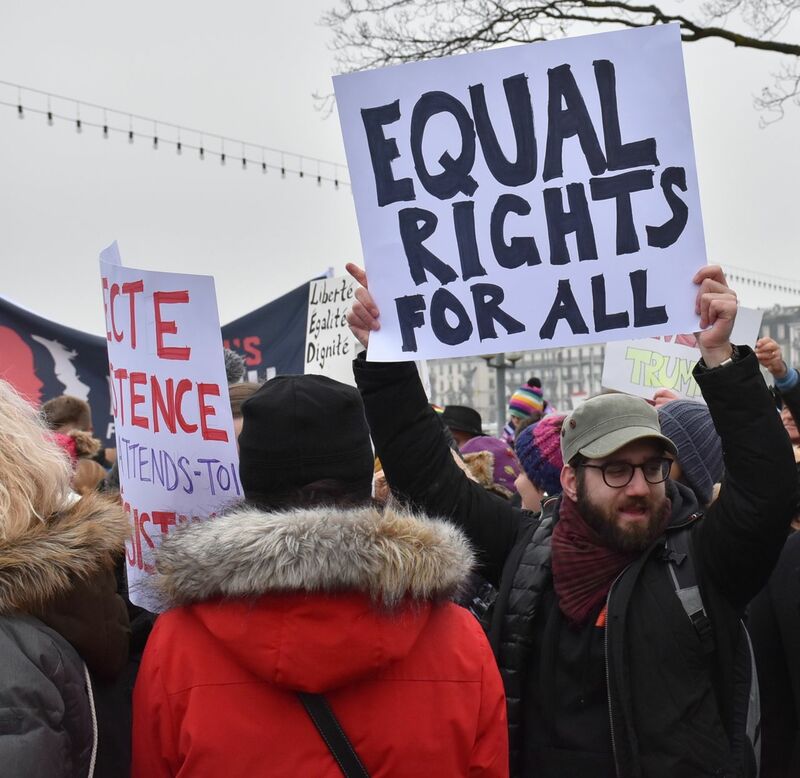 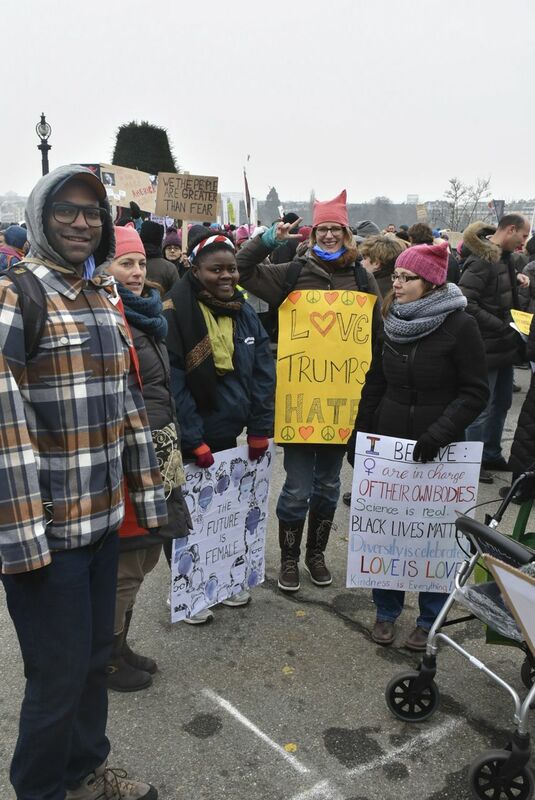 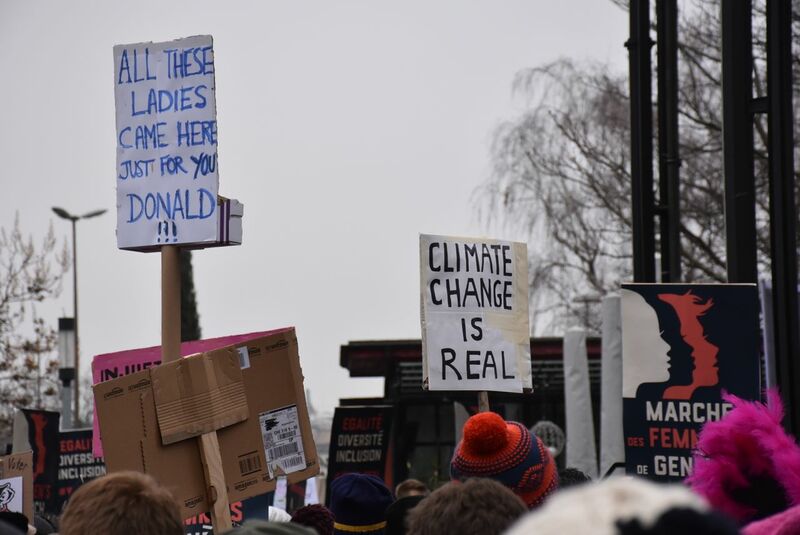 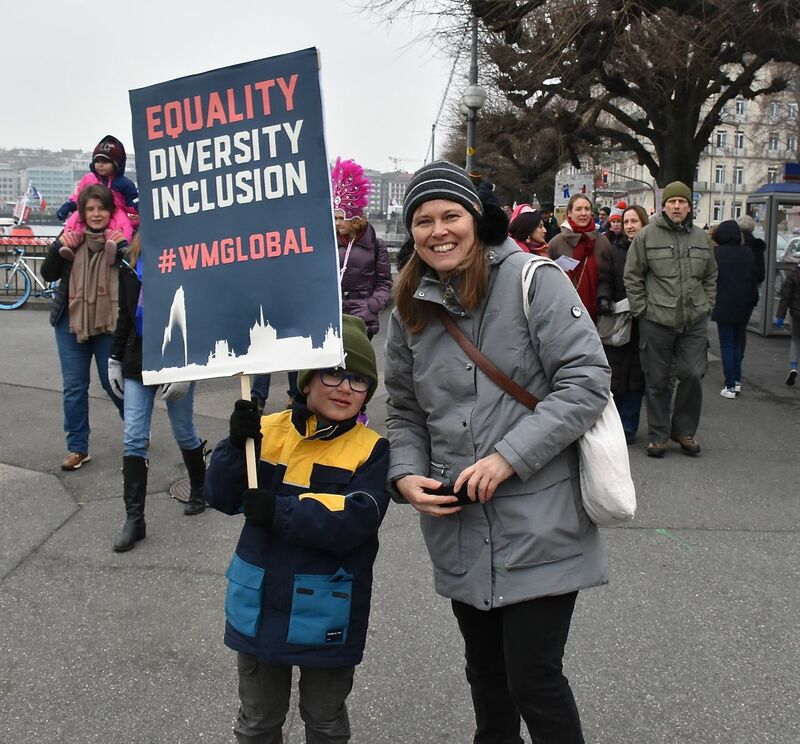 Women, men and children of all nationalities, including a large contingent of US citizens residing in Geneva, Lausanne, Yverdon-les-bains and Zurich, gathered at the English Garden at the only march of this type taking place in Switzerland. 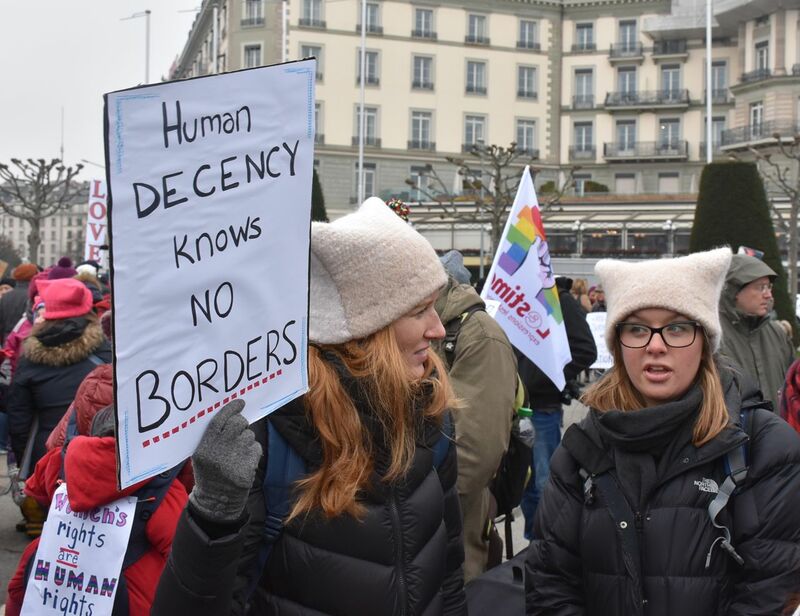 Organizers in Lausanne and Zurich were unable to obtain the necessary permits — which are rather difficult to obtain in Switzerland. 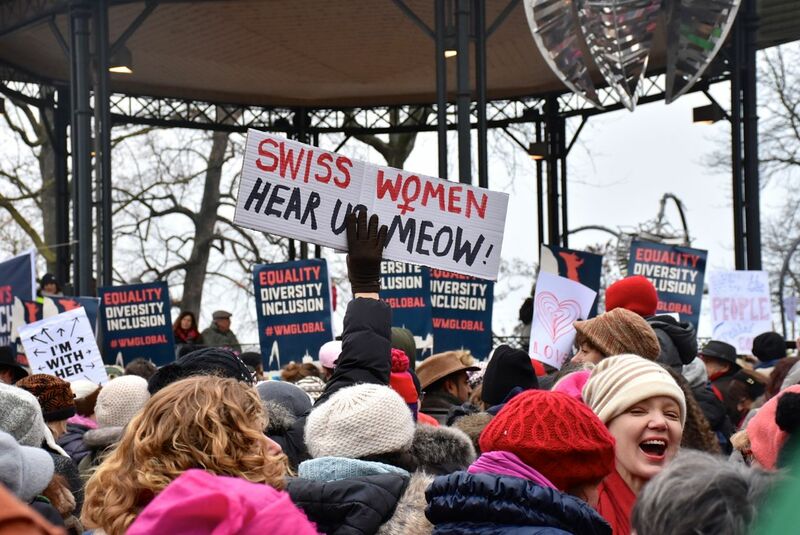 Former Swiss President and Minister of Foreign Affairs Micheline Calmy-Rey sent a message to the participants encouraging a continued engagement in local and global affairs, especially as it concerns xenophobic movements and those sought to restrict women’s rights. 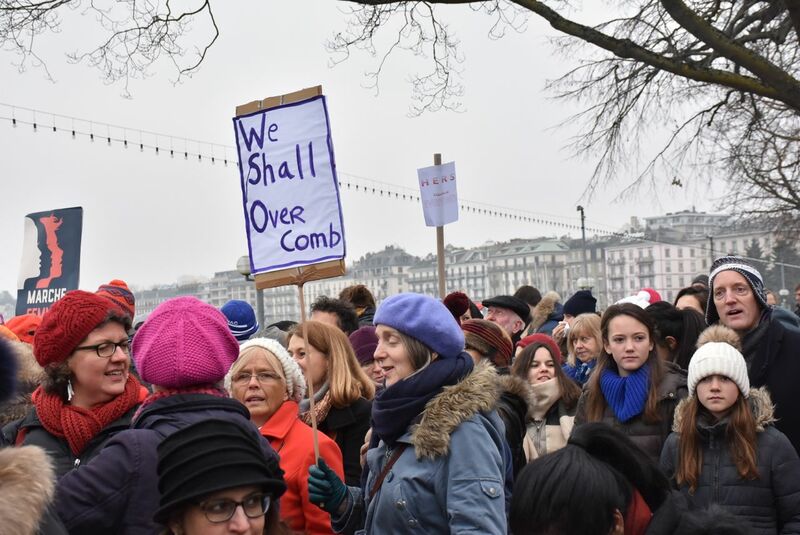 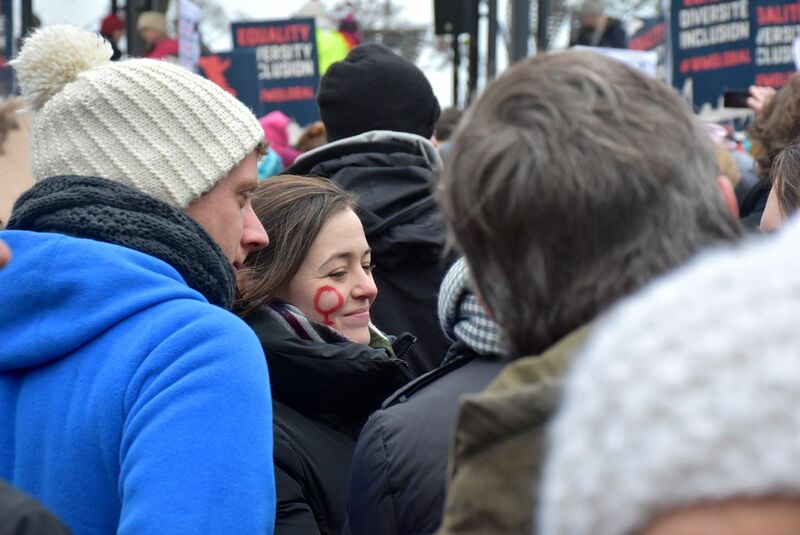 This march was also an opportunity to manifest opposition to misogyny everywhere. 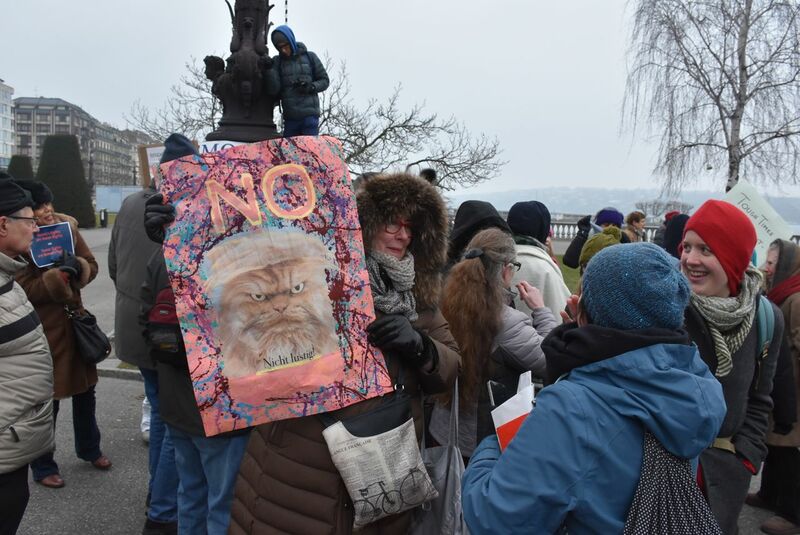 The peaceful gathering began at 11:00 at the English Garden and continued towards the Paquis where Amnesty International Switzerland, one of the sponsors of the march, also took the stage. 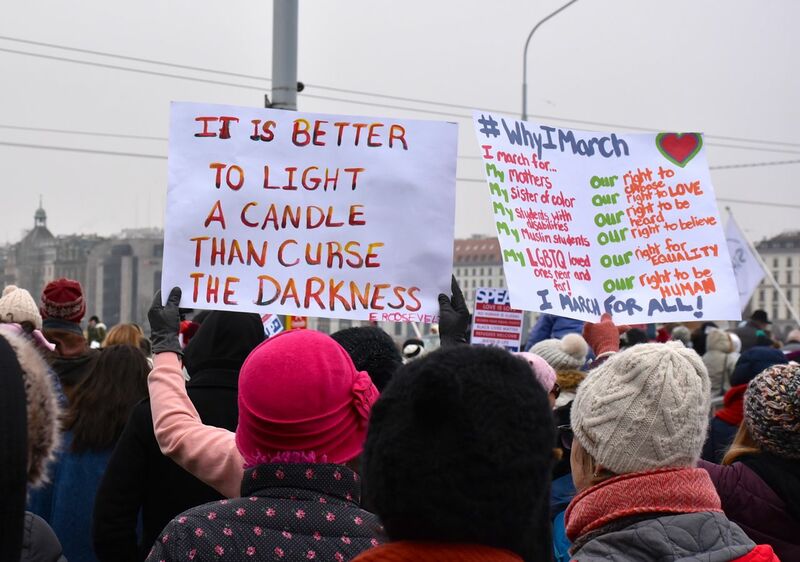 A second women’s march (organized by the newly-created non-governmental organization responsible for this protest) is planned for 8 March, International Women’s Day. 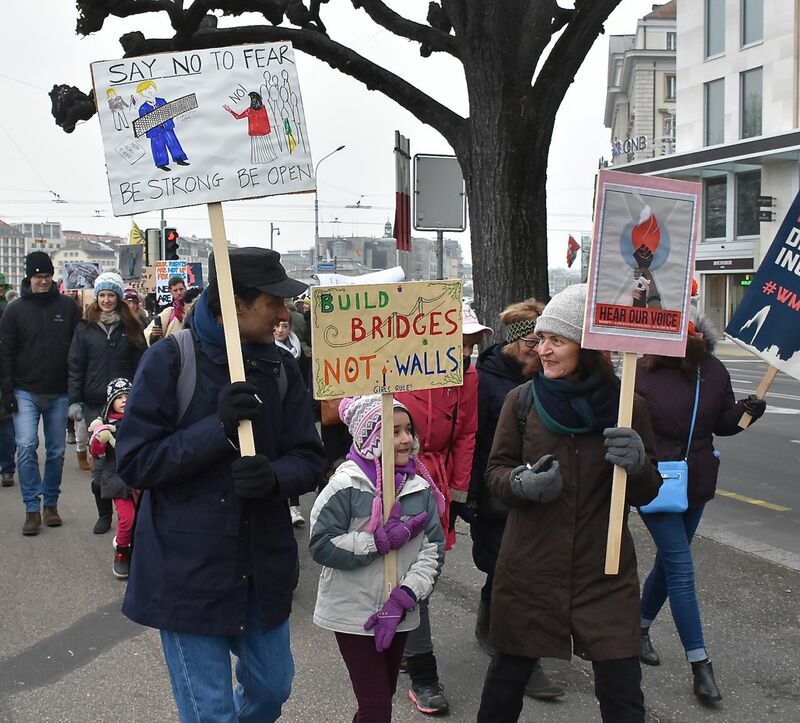 Find additional photos on KAB Design website.